This first week in January probably has most of us clearing off our desks and doing some rearranging. Between working on an editorial calendar [finally! ], filing paperwork, and settling into my new attic studio space, it looks a little like the photo above around here. Wouldn't it be great to have all of that drawer space to put things away to? What re-organizing tools do you find most helpful in your workspace? I desperately need to clear off my bulletin board and start fresh - it's overflowing with bits and pieces!! 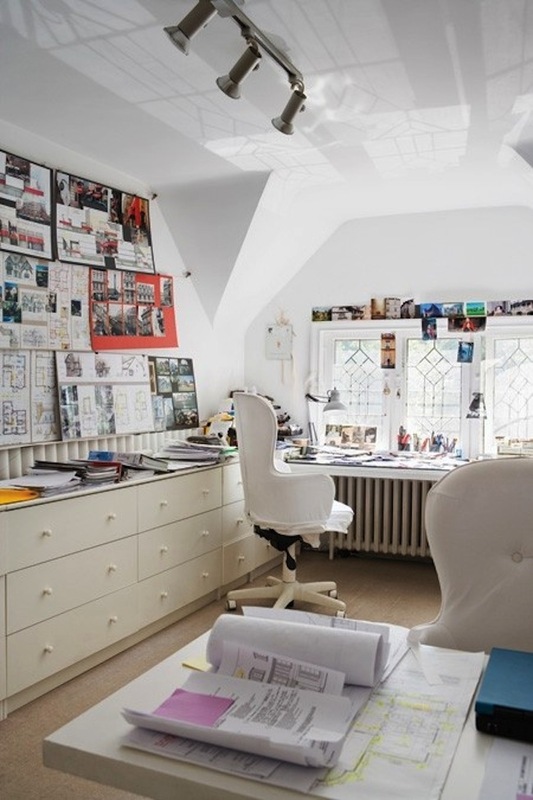 Great office spaces make my heart pitter patter, and I love how bright and inspired this one is. Great shelving or cabinet space is a must!